Avast is a all-round antivirus software which has three levels of protection, including Essential (Free Antivirus), Advanced (Internet Security), and Complete (Premier). 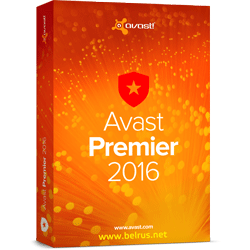 Both the free and Premier version of Avast does the same AVG–Anti-Spyware protection, Link and Email Protection and Home Network Security. The only difference is, of cause, the Premier works in a much more efficient way. If you worry that antivirus software takes up a lot of memories and have a noticeable impact on your computer’s performance, Avast is then the most lightweight software. The reason makes Avast win others over the competition is on the privacy front. They guarantee not to disclose any customer's information to government agencies which is very secure as itself as an antivirus software. McAfee set themselves friendly and suitable for all types of people: the home user, the small business owner, and even enterprise solutions. McAfee makes sure your computer and online presence is highly protected with its top-notch malware and antivirus protection. Things that sets McAfee apart from the rest are also Anti-Spam controls, parental controls, anti-theft and file protection for mobile devices. You can even log in to your protected websites and apps with McAfee facial recognition. Kaspersky is capable to keep homes, businesses, governments, and any device safe security. Kaspersky offers high-threat protection,extra stuff like Secure Keyboard to ensures that the data you enter from your keyboard is encrypted and safe from common malware like keyloggers. Other cool tools include a PC clean-up feature, automatic online backups, remote management, real-time protection and so on. Follow the latest news from our Facebook, Twitterandblog for more update.